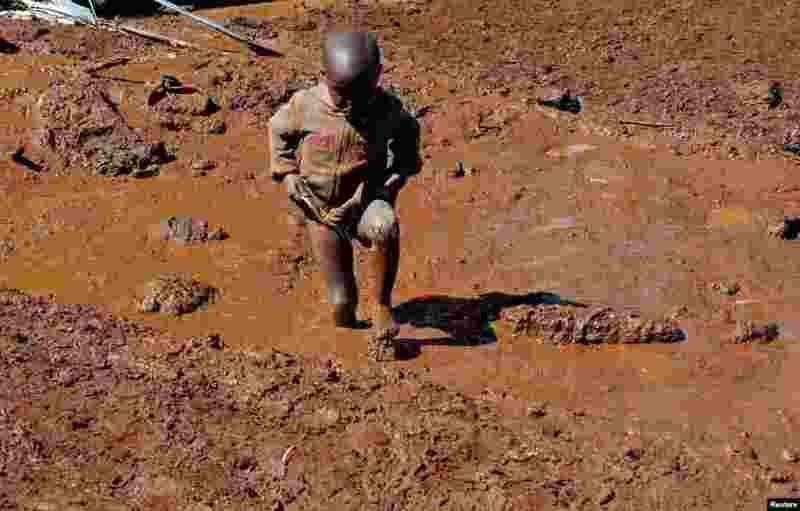 ٥ A child walks near destroyed houses by flooding water after a dam burst, in Solio town near Nakuru, Kenya. 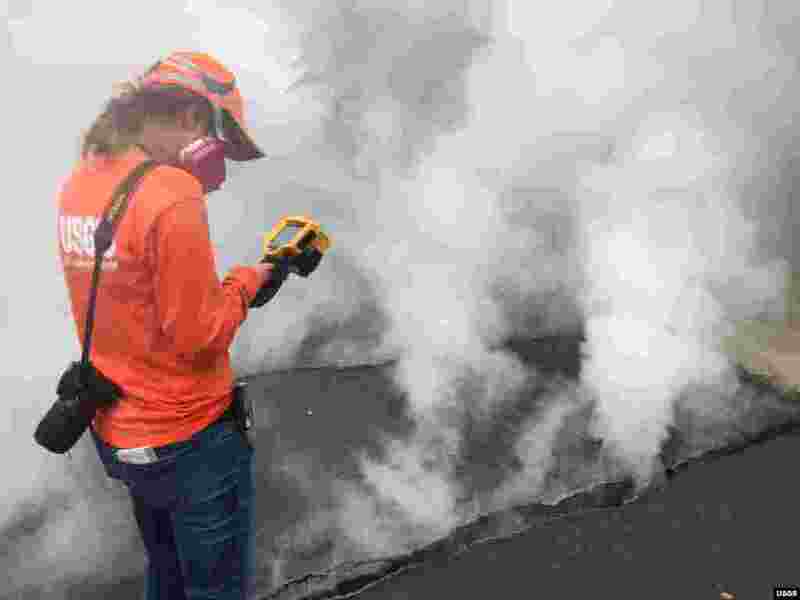 ٦ HVO geologist measures a temperature of 103° C (218° F) at a crack along Nohea Street, Leilani Estates, Hawaii, My 9, 2018. The asphalt road was describes as "mushy" from the heat. 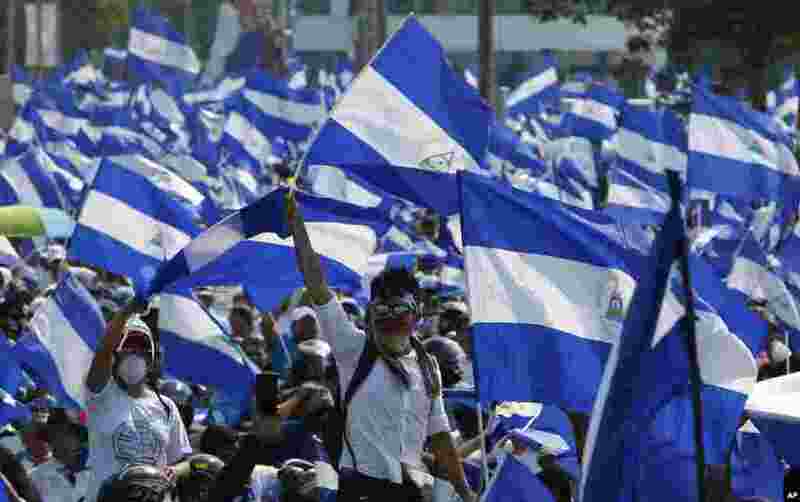 ٧ Demonstrators protesting government repression wave Nicaraguan flags in Managua, May 9, 2018. 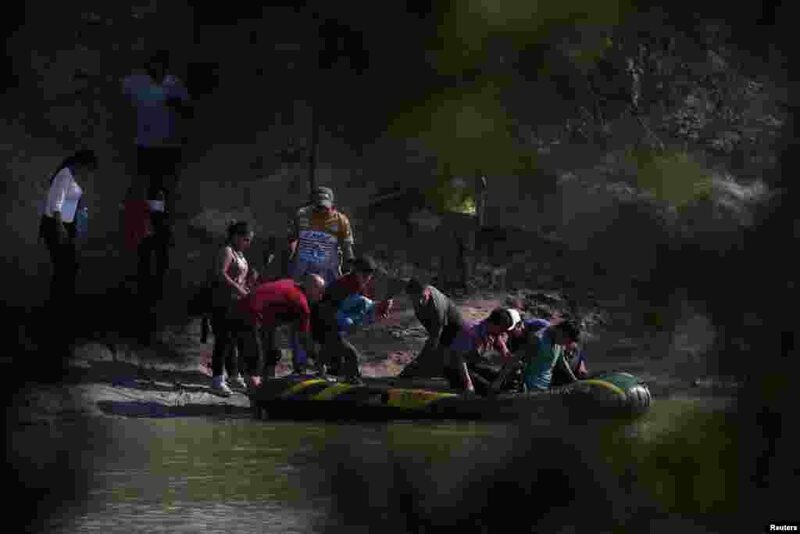 ٨ Suspected smugglers load men, women and children into a raft on the Mexican side of the Rio Grande just before illegally crossing the Mexico-U.S. border near McAllen, Texas, May 9, 2018.